Quality content is informative and engaging copywriting married with inspiring design, hospitality photography and imagery: both supporting one another and lift a brand’s integrity. At Smart Creative, our in-house copywriters compose content for websites and develop this into other key marketing areas; such as, online articles, blogs and promotions. Our highly skilled hospitality photographers expand this by capturing real-life imagery of your venue and food to formulate an all encompassing content strategy that will captivate and retain audiences. 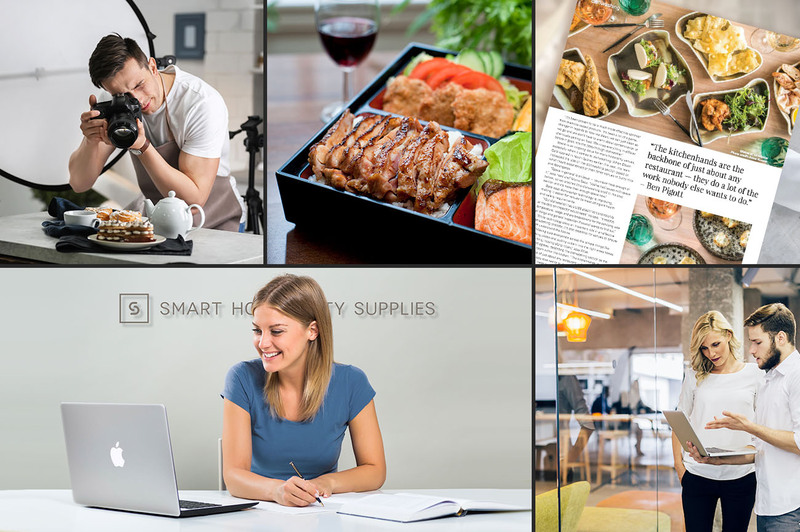 Our hospitality photography and content creation services cover the whole spectrum that you will need for all of your hospitality marketing efforts. We know the industry like the back of our hands and know what each audience within is attracted to and what their needs are. This gives us the advantage over any other photography studio or marketing team, as we can offer you insights that nobody else can, achieving better and more targeted results. Because it's what we've done for over 15 years, we know exactly what makes hospitality photography for venues and food photography stand out from the rest. Food photography that looks sumptuous, and venue photography that will make your venue look every bit as welcoming as it should. Our hospitality marketing team work with hotel marketing and restaurant marketing every day so know how to engage an audience within this sector. Offering everything from copywriting to email design, we can provide a full hospitality marketing service that is directed towards the audiences that mean the most to your business.